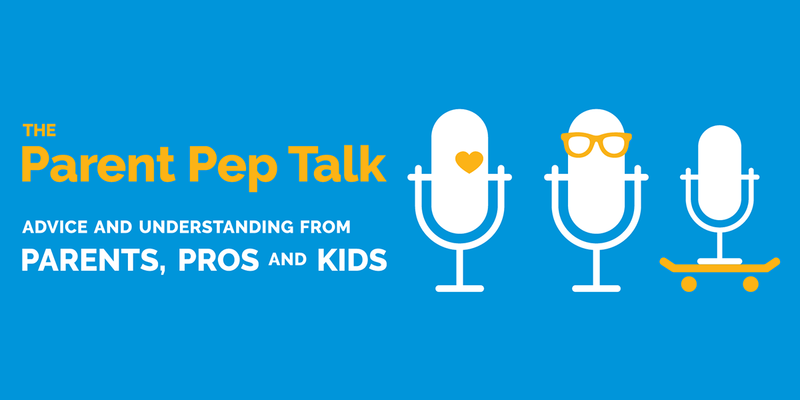 In this webinar, Dr. Sharyn Parks Brown, Centers for Disease Control and Prevention (CDC), will provide an introduction to SUID, including the epidemiology and trends over the past 3 decades, and describe CDC’s role in reducing SUID. Dr. Brown will also give a brief introduction to available sources of data on SUID, including vital statistics data and CDC’s SUID and Sudden Death in the Young Case Registry. Ms. Cherie Sage, Safe Kids Kansas, and Ms. Christy Schunn, Kansas Infant Death and SIDS (KIDS) Network, will discuss a collaboration used to create a statewide infrastructure to roll out safe sleep to specific venues, including the community, hospitals and outpatient maternal and infant clinics. They will describe the KIDS Network Safe Sleep Instructor (SSI) Project, which is designed to build collective impact to reduce sleep-related infant death. Abby Collier, National Center for Fatality Review and Prevention, will moderate this webinar. This webinar will be archived. Please note that we are unable to provide CEUs or certificates for our webinars. WASHINGTON, D.C. -- The Consumer Product Safety Commission (CPSC) and Fisher-Price warn consumers about the Fisher-Price Rock ‘n Play due to reports of death when infants roll over in the product. According to medical literature, infants typically begin rollover behaviors at 3 months. The CPSC is aware of 10 infant deaths in the Rock ‘n Play that have occurred since 2015, after the infants rolled from their back to their stomach or side, while unrestrained. All 10 infants were 3 months or older. Because deaths continue to occur, CPSC is recommending consumers stop use of the product by three months of age, or as soon as an infant exhibits rollover capabilities. CPSC has previously warned consumers to use restraints in infant inclined sleep products. Fisher-Price warns consumers to stop using the product when infants can roll over, but the reported deaths show that some consumers are still using the product when infants are capable of rolling and without using the three point harness restraint. CPSC and Fisher-Price remind consumers to create a safe sleep environment for infants, whether using a crib, bassinet, play yard, or inclined sleeper: Never add blankets, pillows, stuffed toys, or other items to the environment and always place infants to sleep on their backs. The Commission voted to publish a finding that the health and safety of the public requires immediate notice. Please join us for this third webinar of the ICRC-S 2018-19 webinar series, Preventing Suicide by Promoting Social Connectedness: Promoting Connectedness in American Indian and Alaska Native Communities through Culture. The Qungasvik (kung-az-vik) 'Toolbox' is a multilevel strength- based intervention developed by Yup'ik communities to reduce and prevent alcohol use disorder (AUD) and suicide in 12-18 year old Yup'ik Alaska Native youth. The intervention aims to increase strengths and protections against AUD and suicide by promoting culturally meaningful 'reasons for sobriety' and 'reasons for life.' During this webinar, Dr. Stacy Rasmus, Associate Research Professor and Director of the Center for Alaska Native Health Research (CANHR) at the University of Alaska Fairbanks and Dr. James Allen, Professor in the Department of Family Medicine and BioBehavioral Health at the University of Minnesota Medical School, Duluth campus, will describe the Qungasvik intervention and the research leading to its development, review the research on which and how social connectedness concepts are addressed in American Indian/Alaska Native cultures, and present on the path taken by Alaska Native communities to adapt and implement the intervention to their local cultural context. Participants will be able to ask questions of the presenters. Please note that we do not offer CEUs or certificates for our webinars. This webinar will be recorded and emailed to all registrants. Thank You To Our Presenting Sponsor! Register by June 15 to avoid paying the late conference rates! Are you ready to register for the biggest public health conference in the region? The theme of the 2019 Public Health in the Rockies conference is Equity and Social Justice: Innovation at Elevation. This theme continues discussions of our communities’ current and future public health issues. Most importantly, we will learn from our peers’ policy development efforts, advocacy work, authentic community engagement work, and innovative programs to address challenges related to advancing health equity and social justice. We will continue to discuss our current and future public health and advocacy work in addressing health equity, inclusiveness, and community engagement, in order to create real world solutions to improve the health of our communities. 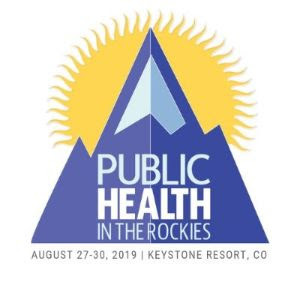 The purpose of the 2019 Public Health in the Rockies Conference is to provide an opportunity for education, networking and skill development of professionals in Colorado and neighboring regions. The Conference is designed to build a more competent public health workforce. Provide a forum for public health professionals to develop new skills, demonstrate best practices, exchange lessons learned, share current research, and discover valuable resources. Offer a multi-disciplinary conference program that encompasses the broad aspects of public health. Stimulate innovation in public health practice. Promote awareness around Colorado’s adoption of the Public Health 3.0 and Foundational Public Health Services models. Provide a meeting and discussion opportunity for the CPHA members, other public health interest groups, special interest groups, and new & non-traditional public health partners. Encourage networking of all professions represented in public health, special interest groups, and new & non-traditional public health partners. CDPHE would like to invite you to participate in an important survey to help determine the key reasons that Colorado consumers seek out information on health and wellness. The Colorado Health IT Roadmap was published in 2017 to help inform and prioritize the State’s Health IT strategy. This survey is being conducted as part of one of the Roadmap's high-priority initiatives – Promote and Enable Consumer Engagement, Empowerment, and Health Literacy. Recently, a series of focus group findings were held around the state to understand the various reasons why Coloradans seek out health and wellness related information. The focus group participants represented a wide range of Coloradans. Based on the focus groups a list of reasons for seeking information was developed by the Colorado Consumer Engagement project team. The results of this survey will help to prioritize the reasons people seek information and help to determine which areas to address first. Which reasons are most important to you? The survey should take less than 10 minutes to complete. It consists of eight questions; four about you and four about the reasons you seek health and wellness-related information. At the end of the survey, you will have an opportunity to request additional information and/or a copy of the survey results. Course 1 (led by Des Runyan and Dan Lindberg) is for medical clinicians already familiar with child abuse, and interested in developing their research skills. Course 2 (led by John Fluke) is for trained researchers (or researchers in training) who are interested in gaining more knowledge about the problem of child abuse and neglect and learning about the different approaches to research, data resources, and ethical challenges in this body of work. Course 3 (Led by Carol Runyan and Ashley Brooks-Russell) will introduce those with some familiarity with the topic of child maltreatment to public health concepts and approaches to prevention and will include discussion of significant preventive interventions with many of the innovators who developed the interventions and/or their evaluations. The courses run simultaneously over one week, so students may take only one. Those interested in graduate credit may obtain one credit from the Colorado School of Public Health. Please visit the link above for more information! The National Action Alliance for Suicide Prevention (Action Alliance) has released the first-ever National Recommendations for Depicting Suicide in entertainment content, in collaboration with the Substance Abuse and Mental Health Services Administration (SAMHSA) and the Entertainment Industries Council (EIC). Representatives from the entertainment industry and suicide prevention field provided input on the recommendations, which advance goal four of the National Strategy for Suicide Prevention. The Colorado Department of Health Care Policy and Financing is seeking stakeholder feedback via this short survey to inform the Department’s proposal for the Maternal Opioid Misuse (MOM) Model. The Department is in the process of applying for the MOM Model from the Centers for Medicare and Medicaid, Center for Medicare and Medicaid Innovation. This cooperative agreement provides funding opportunities for selected state Medicaid agencies to test whether payments that support evidence-based, coordinated care delivery for pregnant and postpartum women with opioid use disorder and their infants can reduce Medicaid and Children’s Health Insurance Program expenditures, and improve the quality of care for this population. The group identified an initial list of potential interventions that will be shared with the larger group and other interested stakeholders through a survey as a way of prioritizing interventions. In addition, the survey will seek to understand the work you are already doing (or that you’ve heard about) related to maternal opioid use in Colorado and what data or metrics you might have that could support the application and work. Please take a moment to respond to this survey and feel free to share with other partners. We are seeking to have all responses by Friday 4/12 by 5 PM. In additional to sharing your expertise, please feel empowered to pass along this survey to others with key perspectives on maternal opioid use. Please contact Susanna Snyder (susanna.snyder@state.co.us) with any questions. Every day, more than 100 people die in motor vehicle crashes and thousands more are injured. The economic impact is notable: in 2015, the cost of medical care and productivity losses associated with occupant injuries and deaths from motor vehicle traffic crashes exceeded $63 billion. More can be done to prevent crashes and reduce injuries. State-level changes are especially effective. CDC is releasing a widget in support of the Motor Vehicle Prioritizing Interventions and Cost Calculator for States (MV PICCS 3.0), a free interactive calculator that helps states and state decision makers prioritize and select from 14 effective motor vehicle injury prevention strategies. A summary of which of 14 evidence-based interventions are currently being used as well as the ones that could be implemented. An overview of the potential benefits of strategies not currently being implemented. An interactive map to compare the status of each strategy across all states. You can embed the MV PICCS widget onto home pages, blogs, and other websites. Adding the MV PICCS widget to your page means you will have up-to-date motor vehicle safety information in your favorite digital spaces – no searching or browsing required. Check out the interactive and easy-to-use widget here and click on the widget’s embed button to get the code.